Having attractive eyes involves more than just makeup. Long, lush eyelashes play a major role in beautiful – more youthful eyes. Latisse is today’s answer to restoring beautiful, thick, long lashes. Not having enough (inadequate) eyelashes – called Hypotrichosis – is a common problem caused by normal aging, genetics, illness or other possible causes. If you’re born with long, thick lashes and over time begin to experience loss of those lashes – it can be very upsetting and embarrassing. Now you don’t have to just live with it or deal with false eye lashes or extra layers of mascara everyday. Latisse is creating beautiful lashes for thousands of men and women today who have chosen to defy aging. Latisse is today’s safe and proven treatment to restore beautiful, thick, long lashes. Latisse is the first FDA approved treatment to grow eyelashes. It’s a once-a-day topical solution – you apply at home – that increases the percent of hairs and the duration of the eyelash growth cycle. Latisse is a prescription product that can only be used under the supervision of a physician and has been proven to have few if any side effects. Itchiness and/or eye redness are the most common reported side effects – but are very infrequent. If you are unhappy with the loss of eyelashes due to aging, genetics, illness or for other reasons and you are in otherwise good health – you could be an ideal candidate for Latisse eyelash strengthener. All medical treatments are serious decisions and should be treated as such. 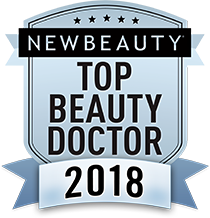 Dr. Yeh is specially trained in Facial Plastic Surgery and as a board certified surgeon has many more years of training and experience than other physicians. He is specialized in procedures of the head and neck and has meticulously honed his skills in all treatments – surgical and non-surgical to effectively perform your chosen procedure. Dr. Yeh is highly skilled, well-educated & focused on procedures of the head & neck…you can trust your face to this facial plastic surgeon! Great lashes don’t just happen overnight. Latisse™ is now helping women of all ages to grow longer, darker, thicker – beautiful eyelashes naturally. Latisse is the first and only FDA approved treatment to grow your own natural eyelashes.